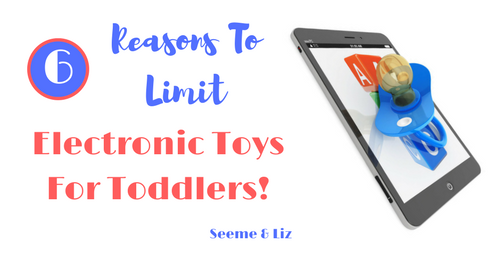 Seeme & Liz > Parenting Tips (0-2 year olds) > Electronic Toys For Toddlers – 6 Powerful Reasons To Limit Them! The market of electronic toys for toddlers is growing rapidly each year. And the makers of these toys are touting their many benefits, even for babies and toddlers. I won’t disagree completely as I do believe there are benefits to technology, however for a typically developing toddler there are many reasons why you should consider limiting their use of electronic toys. I want to start out by saying that for the purpose of this article I am referring specifically to toddlers, that is children between the ages of 1 and 3. As a child gets older and has many foundational skills in place, electronics and technology can be a wonderful thing. I will be honest and upfront with you and let you know that my children did have electronic toys when they were toddlers. I am not claiming to be perfect and honestly it is getting harder and harder to avoid these types of toys. I did however limit the number of electronic toys my children had access to and I would often take out the batteries if the toys still worked well without them. Because in all seriousness, does a door on a toy farm need to make an animal sound when you open it? Why not make the sound yourself and show your child the animal that goes along with it? Now, let’s look at why you should consider reducing some of the electronic toys for toddlers in your home! These items are presented in no particular order. Have you ever watched a toddler playing with an electronic toy? They are fascinated by pushing buttons and they are usually doing it on their own. Electronic toys do make great babysitters, but do they encourage quality parent-child interaction? I would have to say “not really”. Yes, there are many parents that will still interact with their child while playing with these toys, but the quality of the interaction is not the same. Adults tend to let the toy do most of the talking and they are less responsive to the demands for attention from their child. The same can be said for e-books. Toddlers need to see and feel a real book in order to truly engage with the story. Research has found that 3 year old’s are less likely to follow the plot of a story when it is in e-book format. Please click here for more information. Babies and toddlers learn best by seeing and touching three dimensional objects as opposed to two dimensional objects. So in order to learn new words a parent can show a child a toy dog while saying the word dog and barking. Your child can then take the toy dog and pretend to make it jump, eat, roll over, etc. This cannot be done by looking at a picture of a dog on a smart phone and touching the screen. This may produce a dog barking and maybe the dog will jump on the screen but it is still two dimensional. Since electronic toys “talk” to your toddler, the vocabulary parents use tends to be decreased. Parents do not use the same words that they would if the toy did not make a sound. The link I provided above refers to a study done on electronic vs non electronic shape sorters. The researchers found that while parents talked to their child in both groups, the parents whose children were given the electronic shape sorters used less spatial language. Children connect and bond more with their parents than with electronic toys. A word spoken by a toy will less likely be remembered than a word spoken by the parent. And, when a parent is doing the talking, they tend to repeat the same words several times using varied pitch and intonation. A toy will not do this. Electronic toys can be very loud and overwhelming, especially for a young child. Toddlers love to explore but they don’t want to be startled all the time. Most electronic toddler toys have on and off switches, so you can turn them off and your little one can still play with the toy. If there is no switch, just take out the batteries. 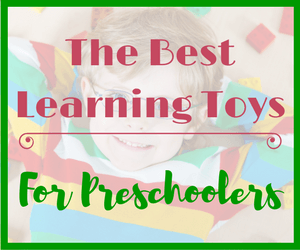 Some toys are also somewhat of an all-in-one learning toy. One toy to teach numbers, letters, colors and more. Honestly, this is a bit much for a 1-2 year old. One step at a time! Toddlers will often show that they have been overstimulated through behavioral changes. You may not realize it in the moment, but unexplained crying or change in mood can be the result of over stimulation. It can also indicate that the child is tired, perhaps from being over stimulated. Pushing buttons and hearing sounds becomes mesmerizing to a toddler (and many adults). Some of them can zone out and do the same thing over and over, thus not moving around. We want our children to learn about and explore their environments. Learning in the early years is supposed to be active, including hands on experiences with people, objects and nature. I have noticed more and more “active apps” being developed to get kids moving. There is even a company called SpringFree Trampolines that has developed a product called Tgoma. Their slogan is “Motivate your family to go outside and be active”. It uses an iPad (with bluetooth) and has sensors throughout the trampoline. There are various activities you can connect to the trampoline. It’s basically an interactive game for the trampoline. I don’t have an issue with this in itself. It is great that kids are outside having fun. What I don’t agree with is having to use a device to lure the kids outside (and onto a trampoline). For a child just being outside and playing in nature should be fun. But enough of my tangent. My point is that fancy toys for toddlers often end up with your little one being less active. What is presented on a screen is only a representation of something real. Touching a screen or pushing a button may teach cause and effect (which is a key foundational skill, but remember it is only one skill) but it does not provide as full or meaningful of an experience that could happen with real person to person or person to object interaction. A child who is listening to and watching an electronic toy cannot be as creative as one who is making something up on the fly. Electronic toys for toddlers come pre-programmed and you can’t really deviate from that. Even if it is technically possible to do something different, toddlers do not have the knowledge to do so unless a parent is interacting with them (which is not always the case when toys are electronic). Toddlers are often handed their parent’s smart phone (loaded with “educational” apps) in order to distract them, or stop them from crying. While this may work well in the moment, it does not allow the child to express his feelings. This is also teaching the child to look to outside sources for happiness. 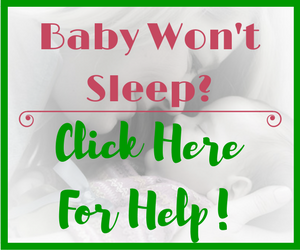 Parents in turn do not need to come up with novel ways to soothe or occupy their little one. Children need to be taught that it is ok to be upset. Crying is part of being a child. Let’s look at the memory game. It has been around for a long time. I remember playing it as a young child and I am sure you do too. The basic idea is that you have cards with pictures on them that you would have to match up (find the matching pair). Nowadays you can get this game as an app for a tablet or smart phone. Yes, the concept is still the same, you need to find matching pictures. However, the experience of playing the game with real cards is much richer with even more opportunities for learning. First of all, your child can play with another person, looking at them and interacting with them while playing. Secondly, your child can actually feel the card. He can choose to collect them face up or face down and then determine if he wants his matching cards to be lined up or stacked one on top of the other. Thirdly, if one of the cards goes missing, you and your child can think of a solution (cards won’t go missing in the electronic game). None of these things can happen with the electronic version of the game as it is pre-programmed to perform a certain way. The American Association of Pediatrics changed their screen time recommendations in October 2016 to reflect the ever increasing use of tech during childhood. 1 hour of quality screen time after this to the age of 5. It is strongly recommended that parents are next to their children during this time. For children over the age of 6 parents are encouraged to continue to set screen limits, monitor screen activity and encourage plenty of free play and outdoor physical activities. To see the full list of recommendations click here. Keep in mind how important true play is for children. It facilitates critical and original thoughts, problem solving, imagination, turn taking, learning about emotions and self regulation. Open ended toys such as blocks, playdough, play houses, pretend play kitchens, toy cars, shopping carts, play food, even chairs and blankets encourage creative and novel play. This type of hands on play can be thought of as the building blocks for many skills yet to come. Your toddler has many, many years ahead to learn about and learn from electronics, but without the foundational skills, none of that matters. What are your thoughts on electronic toys for toddlers? If your toddler has a room full of electronic toys, will you continue to encourage her playing with them or will you take a step back and promote her trying more traditional forms of play. Or perhaps you are doing a little of both. As I have said in many of my other articles, I think moderation is the key with just about everything in life! 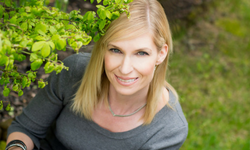 Tanya, This is a very powerful article and I have had the unfortunate experience of the negative effect of screens in my children. I agree with all of the reasons you give here with reducing, while not fully eliminating, screen time in children of all ages. 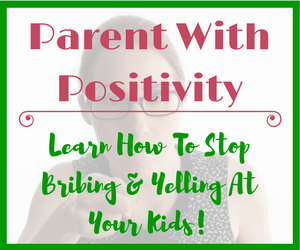 I wrote here: https://frugalforluxury.com/2018/09/my-biggest-parenting-failure-2 about my my biggest parenting failure, which was to use screens as a way to relieve myself of some mommy duties when my oldest daughter was younger. Thankfully, we caught the growing problem early enough and have corrected it. We now have a perfectly normal 6-year old but things could have looked a lot different, had me not cut screens off of her and her siblings’ lives! I’m sorry you had to learn about the detriment of screens and young children the hard way (through experience). But, you identified the problem and took measures to fix it! Your children are very lucky that you did not ignore the fact that an overabundance of screen time was hindering your children and their development. Screens for sure make parenting easier, but our job as parents shouldn’t be easy. If it’s too easy we are doing something wrong! I hope other parents can learn from your story. Tanya, smart parents like you will know that a child should have a natural desire to play outside. Playing outside without electronic toys allows toddlers to develop both mentally and physically. “Spring Free Trampolines” might have noticed that many toddlers these days are deprived of the privilege to play outside, which is why they produce electronic toys that will take them outside. My advice to all parents is to allow their child or children to interact with nature as much as is possible. Give them electronic toys only for them to know how to compare and contrast the difference. Parents will see the big difference in their childs weight and otherwise. Thanks Dorcas. You’re right, obesity is increasing, especially in young children and perhaps part of why this is happening has to do with young children spending more time inside in front of a device and less time exploring outdoors. Your 6th reason just hit me real hard. It was the same thing my wife told me a couple of days ago. I am used to giving my little daughter my tablet when she fires up. I don’t like distractions when I am watching TV. The tablet has become my way to quiet her. I think it is time to reevaluate my strategies. What do you recommend I do to her to stop her from making my time with the telly a tough one? The only recommendation I can give with regards to being able to watch TV is to do so when your daughter isn’t around. My husband and I always had a rule where we would not watch TV in front of our kids. We would watch age appropriate shows with them, but that is about it. Make sure your daughter is going to bed at a reasonable time. Then this will allow you and your wife time to watch TV without trying to keep your daughter occupied. Whilst I don’t have anything against children using technology, I definitely agree with this. As a toddler, I think its best for them to do more productive things then just looking at a screen. This is an age where brain development is important and I do not think that looking at a screen is very good for their brain development. Thanks for sharing your thoughts Samantha. As children get older their use of technology will definitely increase. But in a child’s early years, face to face interactions and learning through exploration are essential for a child’s development! I am an elementary teacher and I really couldn’t agree more. I see tons of my students that spend way too much screen time. And, I can attest, that it definitely has an impact on their academic performance. Now that I have a toddler of my own my wife and I are extremely careful to make sure that we limit any electronic toys. Not only because we read about the harmful effects these toys can have on development but also because those loud flashy toys are absolutely obnoxious. My babe received one electronic toy from our baby shower that he tends to like but every time he pushes the put the same old song blasts out. Ugh, I would love to never hear that song again. I think it might be time to take it away! What has been your own children’s favorite toy? My baby is now 1 so any suggestions would be helpful! Kids are drawn to electronics, but it’s the job of parents and educators to make sure children are exposed to other forms of learning as well. Especially while they are still young. 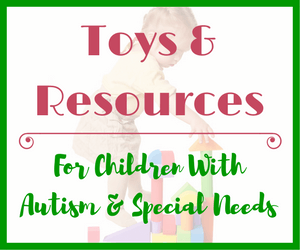 Take a look at these articles for some great toy ideas. My kids had all of them! 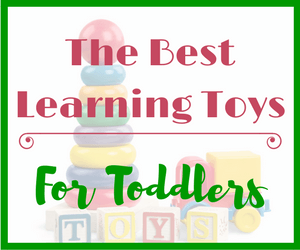 I also provide many suggestions for how to use each of the toys listed for optimal language development and learning. Have you ever seen how much fun a young child has with a few containers, some sand and some jugs of water? It can keep them occupied for much longer! Plus I believe this type of play is really good for them. Thanks for your comment Lynne. You are right, there are many items (not just toys) that can entertain a young child. And this isn’t just mindless entertainment. Your son is actually learning a lot by packing and unpacking the Tupperware cupboard. Take a look at my article Cardboard and Kids Equals Creativity and Learning! I think you might really like it! I have a two-year old who unfortunately has a lot of experience using smartphones. I know it’s all my fault because I’ve used technology as a substitute to parenting. As you have mentioned, technology can be a very good babysitter when you’ve got a bunch of things to do. My fiance and I are working on drastically reducing all the technology that he has access to and believe it or not, he’s taking it rather well. Yesterday I found he had my phone and I just took it away and turned it off and he didn’t seem at all bothered. He just went on to the next thing. My impression was that this was going to be a big, huge deal but in the past two weeks he’s been transitioning to playing with cars and legos rather painlessly. Maybe, we decided to cut him off just at the right time. It’s also possible that he was growing tired of staring at a screen for so long. Good for you for admitting that you have given your son too much access to screens. I actually found an article recently published on Psychology Today about the negative effects of screen time. I think you will find it quite interesting. Here is the link: Screentime is making kids moody, crazy and lazy! I think you took away the all access pass to screens at the right time. The older the child gets, the more accustomed they get to having a screen accessible at all times. Right now, your son’s memory is very short term. This is the perfect time to make some changes in your home around screen usage. Also make sure that you and your wife try not to be using screens around your son. He won’t understand why he all of a sudden can’t play with them anymore. My husband and I made a pact when our children were born that we would not watch TV around them (not our shows). We watch our own TV shows after the kids are in bed. That way they can’t say “Mommy/Daddy is always watching TV, why can’t I?” By doing this we also spend more quality time interacting with our children. And another positive is that we have always had an early bedtime for our kids since we want some kid free time in the evening. They are now almost 7 and 9 and go to bed between 7:30 and 8pm (sometimes later on weekends) and sleep till 6:30-7:30am. You are doing a great job Alex! Keep it up. I really loved this post. I personally haven’t made any mini-mes, but this is something I’ve thought a lot about. I really feel like our technology obsessed world has affected the way we live our lives as adults, and how we parent our kids. Even things like digital cameras versus film cameras means that I see so many tiny kids posing for pictures, that’s no bad, it’s just different from kids who didn’t really understand why their parent was pointing this thing at them and it went click. But yeah, I hope that when I do have kids I’ll have the freedom to interact with them the same way my mum interacted with me. I remember she used to talk to me a lot when I was little, which is awesome. Anyway, thanks again for this post! I agree wholeheartedly with your sentiment. Thanks for your comment Katia. I think technology is great however, I don’t like tech gadgets and toys being marketed to parents of young children (under 3 in particular) as being educational. We are humans, not robots, and learn best from person to person interaction in the first few years of life. I did not realize this until I read your article. I do tend to buy electronic type toys for my little gal. I think it is a guy thing. Also, I know that stuff like iphone and ipads are not exactly ideal for toddler play yet I am guilty of encouraging my child by showing them music videos on youtube… expecially Frozen videos. Don’t get me wrong, I am not trying to be an extremist by saying absolutely no electronic toys for toddlers, however I really want parents and caregivers to know that these toys will not make your child smarter (like many claim to). Young children learn best through human interaction, not by observing things on a screen. There is nothing wrong with showing your daughter some Frozen videos either. But try to make about 80% of her “learning” come through playing with you and others. The other 20% can be used for electronics. I’m chuckling to myself because my son had a phase where all he wanted to do was watch frozen videos on the tablet and Iphone. I also know it’s not at all ideal and we’re working on cutting that out. This is such an interesting article. I haven’t looked at electronic toys that way before (phones? yes). I am certainly guilty of having them in my house. I do think there is a middle ground. I know parents who use the TV and IPads as “babysitters” so they don’t have to entertain their children. Some exposure in moderation may be acceptable but day in and day out? No. It is important to play with your kids. Get out doors, get messy, have fun. They are only small for so long! Thank you for the great read! Don’t feel guilty about having electronic toys for toddlers in your house. I too had some of these. And you are right there is a middle ground. I don’t want parents thinking that you should under no circumstances have any toys that require batteries. However, these types of toys are becoming more and more popular. And they are marketed as “educational”. Since all parents want their children to succeed, they get sucked into the marketing of these types of toys and think they are actually doing something good for their child’s development. As long as your child has some of the more traditional toys and you are able to interact with them in some of the ways I mentioned, you are on the right track! This is such a good article and I am glad I read it before buying my nephews xmas pressies! Hands on play is so important and I think our little ones need to learn with imagination. I recently heard a story of a young child holding a book and trying to swipe the page like an iPad!! Like you say, technology is good but it has its place! Parents and caregivers want the best for their little ones. However, with all the electronic gadgets and great marketing techniques, many are led to believe that early exposure to technology might actually make a child smarter. But this is not true at all. I also heard the story about the child swiping a book. It made me cringe. Great website, which tackles an issue very close to me as the father of a young child. Kids are growing up with technology all around them and are missing out on valuable social skills! This is an issue affecting lots of parents and your website helps people understand the issues and find a way forward. Being able to use technology is essential in the 21st century but relying on it too much becoming addicted to screens (TV, tablets, phones) will be a huge issue for the next generation! Thanks Nik! I agree, technology is essential but it is not necessary for a baby or young child. Children have many years ahead of them to learn about technology. Look at some of the other generations, even my generation. I did not get my first cell phone until I was 24 years old. I sent my first email at the age of 19. Now I have created my own website and use technology daily. I wasn’t hindered by the fact that my parents didn’t exposed me to “educational apps” (not that they even existed back then). As I say in many of my articles, moderation is the key. I would never look down on a parent who lets their 8 month old play with their cell phone while waiting at the doctors office. But if that child spends the majority of his/her time with a phone/tablet or in front of a TV, that is where I have an issue. This is really nice to read. I’m not a parent myself, but I do have young nephews, and I spend a lot of time with them. It’s actually quite terrifying to see how good they are with technology- by the age of 2, my nephew knew how to use a smartphone to look through pictures and play games. I really agree with the last point you made- that these devices reduce the quality relationships that should be being built at this young age. A toy is a great distraction, but they need real, human interaction. Everyone does, and I don’t believe it’s healthy to replace that interaction with an electronic toy so early in their lives. Thanks for sharing this post, I found it really interesting. I am glad you found this article interesting Chloe. I am hoping to shed some light on the importance of true person to person relationships and how much this is needed to help a child develop. But it is hard when the toy manufacturers are marketing these toys as educational to well meaning parents. All parents want the best for their children, so therefore it makes sense to buy a child all of the latest and greatest toys on the market. But in the end it could be doing more harm than good. I use electronic toys when I play with my nephew who is a toddler so this article has definitely opened my eyes when using such toys and perhaps thinking about decreasing the time of play using these toys. I also liked how you provide alternatives to electronic toys for those who want a solution. As I use a lot of these toys I will definitely look into using games like memory pictures and so on. It is easy to get caught up in the latest and greatest toy, both for the child and the parents/caregivers. Have you noticed that your nephew is fascinated with pushing buttons or opening doors on these types of toys? While this teaches cause and effect, it doesn’t teach true play skills. If the toys your nephew has have the option to turn them off (or just take the batteries out) why not give that a try. See how the interaction goes when there is no sound. You will need to do more talking and interacting with him and he will probably interact with you and the toy more in return! I think the last line in your article is the most profound of all. Electronic toys may have a place but there is no substitute for real-life parent/child interaction, regardless of the toys involved. You brought up some interesting point that I had not considered. I can’t say I agree or disagree on them but they are all food for thought. It seems that was/is your goal. If so, mission accomplished. As a former teacher I feel qualified to say teachers are probably one of the most influenced by and affected by the changes in parent/child interaction. It never occurred to me until reading your post how much impact the toys could have on that. Thanks Bob! The point of the article was not to have people agree or disagree with me, as you mention. It was simply to shed some light on how some of these cool new electronic toys for toddlers aren’t necessarily all they are marketed to be. Marketers are very clever and convincing. If you noticed the picture of the ball in this article, I wrote a caption stating what the marketer/manufaturer says this toy will help your child with. On the surface it sounds amazing that one toy can teach a toddler numbers, colors, sportsmanship, letters, etc., but will it really do that? I don’t think so. A child may mimic and memorize some things this toy has said to them, but it is not true learning. Rather than rely on a toy to teach your child, why not go outside and play with them. Pick up leaves while going on a walk and count them. Sorry to ramble on, but as you can see this is something I feel strongly about! Especially when you say that the electronic toys do not allow the kids to have creativity and imagination. I feel kids are going to expand their knowledge only when they learn how to be creative and even appreciate such toys. Thanks for your comment Shrey! Once children have certain skills in place that they learned by playing they will be able to interact with electronic toys on a different level. However, this typically occurs once the child is a bit older.